Hot Ink was recently given a ‘blank canvas’ opportunity to decorate the walls of the new Prime Letting offices in Woodstock. “FRESH, MODERN, QUIRKY AND FUN” was the brief we were given, “LARGE, WHITE, OPEN AND BLANK” was the space we had to fill! Working closely with Prime Residentials’ Lior Chen, our designers conceptualised some fun ways to inject some personality into the different zones of their office, combining some of their existing brand elements with some fun, new ideas. Using a combination of cut-out wall vinyls, plus etched vinyl onto glass, our installation team then pulled off the transformation over a two day period. 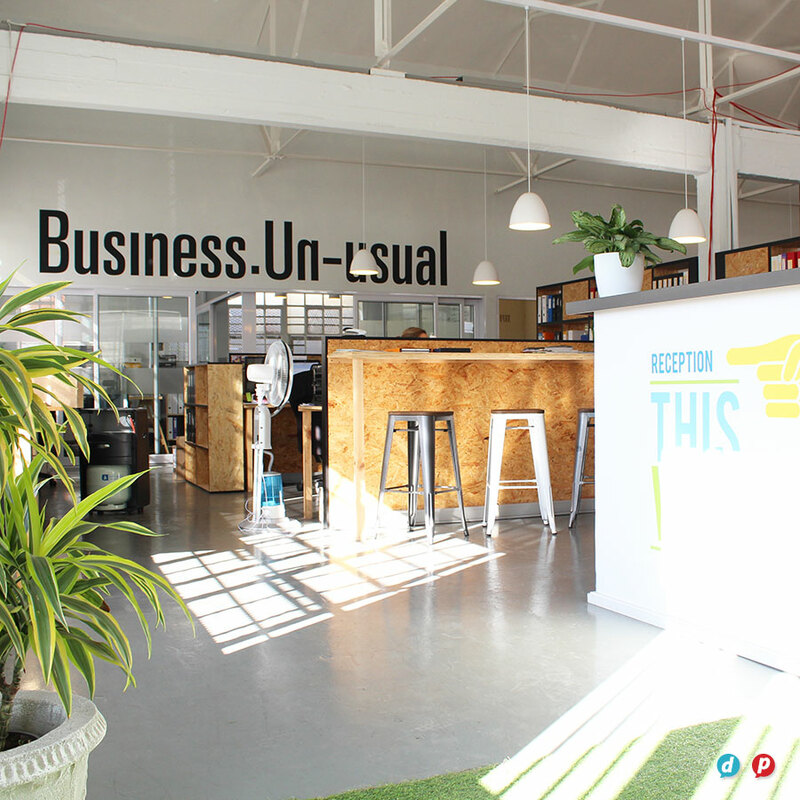 The result – a colourful space with a touch of humour for people to work, play and relax away from home. View more images in our portfolio or see FaceBook for the full visual story – before during and after!